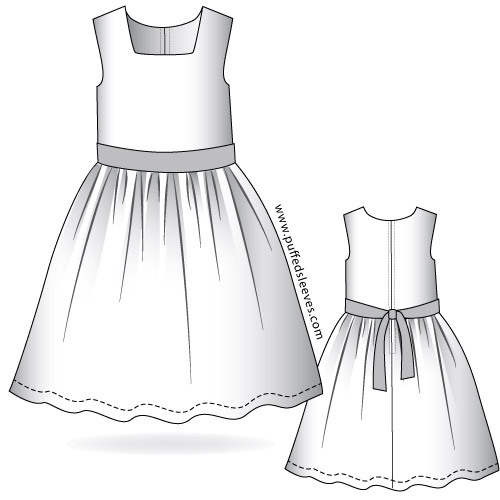 Dress patterns to download. Print kids sewing patterns at home. Tie-up shoulders sundress sewing instructions. Front and back bodice pieces are cut on a straight grain. Place paper pattern on fabric, aligning the fold of the fabric and center line of the bodice piece. Skirt is also placed on fold, fabric permitting. If, however, fabric is not wide enough, no big deal, you can always make a two-seam skirt, cutting two equal pieces. Bodice lining is cut exactly as the main fabric. Sewing the skirt with one piece of fabric, the seam can be placed at the back or on the left side, depending on your design and desire. 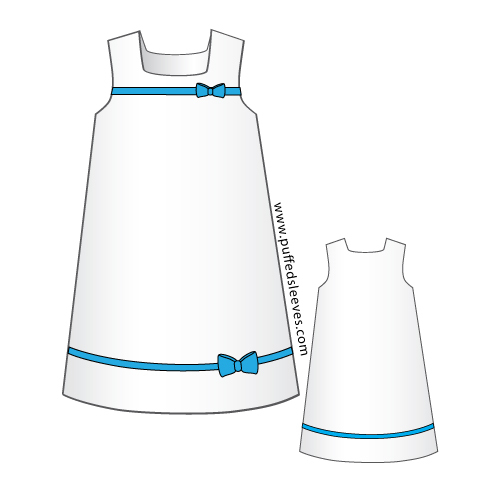 Continue reading Tie-up shoulders sundress sewing instructions. This T-shirt dress features a draw string waist and pockets. Designed for a jersey fabric it has comfy casual look. Casual T-Shirt dress with drawstring waist and pockets. Step-by-step instructions. T-Shirt dress is very easy to make and comfortable to wear. There are just a few points you need to remember to make a professional looking garment. Before laying your pattern out you should determine if the fabric is one way (direction which the print/pattern/sheen/texture runs) or two ways. If the fabric looks or feels differently in both directions your main pattern pieces will all have to face the same way. Don’t forget to match the stripes, if your fabric has them. Continue reading Casual T-Shirt dress with drawstring waist and pockets. Step-by-step instructions. Tunic dress with bows sewing instructions. This cute tunic dress is very simple to make. Absence of a complex details or zippers makes it suitable for novice seamstresses. Contrasting ribbons and bows give rhythmic harmony. 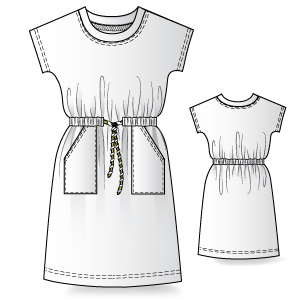 Continue reading Tunic dress with bows sewing instructions. Classic full skirt dress with a sash. This full-skirt dress with a sash is a firm favorite with little girls for a good reason. It can be as dressy or as casual as you wish. With mothers it is popular because it is not a big headache to make and can be adopted for any occasions. Made with silk or satin it is fit for a any celebration. Make it in floral print and your girl will look pretty all summer. For added interest you can make the sash out of different fabric, coordinated colour or contrasting, let your creativity decide. Another variation is to make the top in totally different fabric, might be useful if you working with leftover fabric from previous projects. Continue reading Classic full skirt dress with a sash. Modern patterns for home sewers.